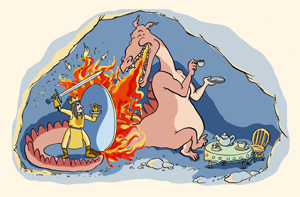 Adventurous Musical Romp Back to the Days of “King Arthur and the Legend of the Dragon’s Lair”! Journey back in time to the wondrous kingdom of Camelot, where gallant knights and fair damsels rule the land! 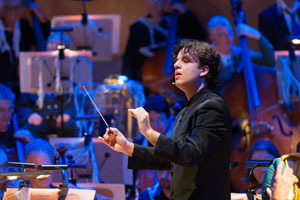 Pacific Symphony’s “Family Musical Mornings” concert—“King Arthur and the Legend of the Dragon’s Lair”—is a rollicking ride, full of adventure, heroism, danger and excitement! With advice from the wise, old wizard, Merlin, King Arthur hunts the dragon in a dangerous quest that is the stuff of legend! Led by Assistant Conductor Roger Kalia and featuring the gifted young musicians of Pacific Symphony Youth Orchestra (PSYO) in their annual side-by-side concert with the Symphony, “King Arthur” is packed with thrilling music from John Williams’ “Raiders of the Lost Ark” to Rossini’s “William Tell” Overture, Wagner’s Overture to “Die Meistersinger von Nürnberg,” Respighi’s “Church Windows,” “Billy the Kid” Suite and Glinka’s Overture to “Ruslan and Lyudmila." This Family Musical Mornings concert, presented by Farmers & Merchants Bank, is a kid-friendly (especially ages 5-11 but enjoyed by all), 45-minute concert featuring actors and a dragon (!) that takes place on Saturday, March 25 at 10 a.m. and 11:30 a.m., in the Renée and Henry Segerstrom Concert Hall. Tickets are $25-$50. For more information or to purchase tickets, call (714) 755-5799 or CLICK HERE. 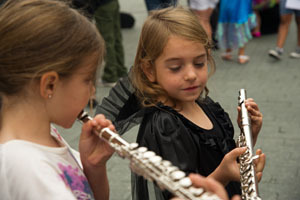 Families should plan to arrive early or stay late for the Musical Carnival, which begins at 9 a.m. (for the 10 a.m. concert) and 12:15 p.m. (for the 11:30 a.m. concert) in the concert hall lobby, where children and families are invited to participate in interactive musical activities that are both fun and educational. Participants enjoy an instrument test drive, have an opportunity to ask questions of the orchestra, and meet musicians from Pacific Symphony and PSYO. The “Spotlight Instruments” for this concert are the orchestra’s woodwinds. With a script by Joe Lauderdale, this concert is based on the timeless myth of Camelot, that imaginary place made famous in plays and movies. The Symphony’s spin on the story of Camelot picks up after Arthur has been named King and Guinevere has become his Queen. It’s a time when many rumors are floating around the kingdom about a frightening dragon and the destruction it has caused. Still, all is well—until Guinevere suddenly disappears, and it is suspected that the dragon has kidnapped her! With advice from his trusted advisor, Merlin, King Arthur heads off on a dangerous mission to hunt down and slay the dragon in order to save the magic kingdom. Kids are sure to delight in the sight of the magical dragon and should watch for the appearance of the legendary sword, Excalibur.